In recent months, Canada has lost two of its earliest Royal Academy of Dance (RAD) members: Dorothy Cox Scruton died on October 22nd at age 100 and Alison Sutcliffe Brigden died on December 30th at age 102. Born in Winnipeg but trained in dance in England, Scruton’s name appears in the 1931 city directory for Victoria as the principal of the Western School of Dancing; she is listed by the RAD as its first Canadian teacher in 1932. Scruton and her daughter moved to London, ON, in 1947 where she set up a school that would operate for more than sixty years; she taught ballet, Revived Greek Dance and many other areas of the performing arts. Scruton also established summer schools at Alma College in St. Thomas, ON, and Huron College in London. In 1995, Scruton was the first Canadian to receive the RAD’s President’s Award. Among her pupils are Donna Bayley and Ross Brierton … A Toronto native, Brigden studied with Leon Leonidoff and danced in his vaudeville productions in the 1920s. She performed with New York’s Metropolitan Opera Ballet for three seasons before returning to Toronto immediately after the 1929 stock market crash. 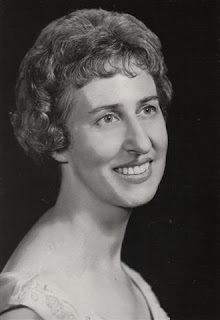 She taught ballet, Spanish and modern dance for the Toronto Conservatory of Music throughout the 1930s and choreographed a number of productions at Hart House Theatre. She spent her summers training in Europe and England with Elsa Brunelleschi, Kurt Jooss, Mary Wigman and Phyllis Bedells. Bedells coached her through her elementary and intermediate RAD exams. One of her pupils was Bettina Byers, first organizer for the RAD in Canada.